An art object as a pendant lamp: The AIM by Flos, made by the design brothers Ronan and Erwan Bouroullec, questions two fundamental principles of lighting design. The first principle is the geometric centre of the light spot: Lamps are usually hung in the middle of the room. 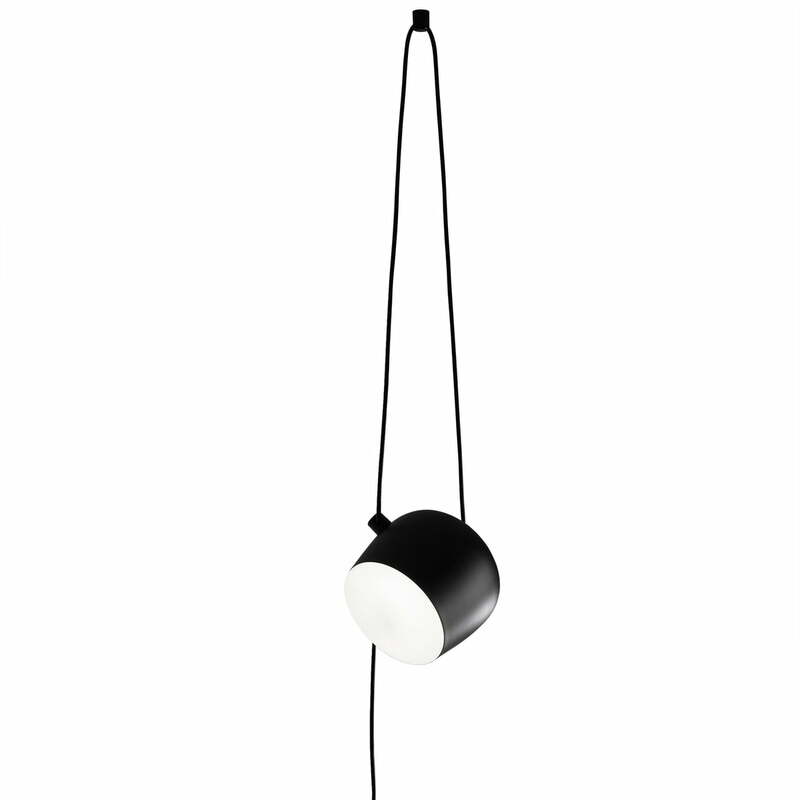 With the AIM pendant lamp this doesn’t matter, since the grounding occurs via a long cable. 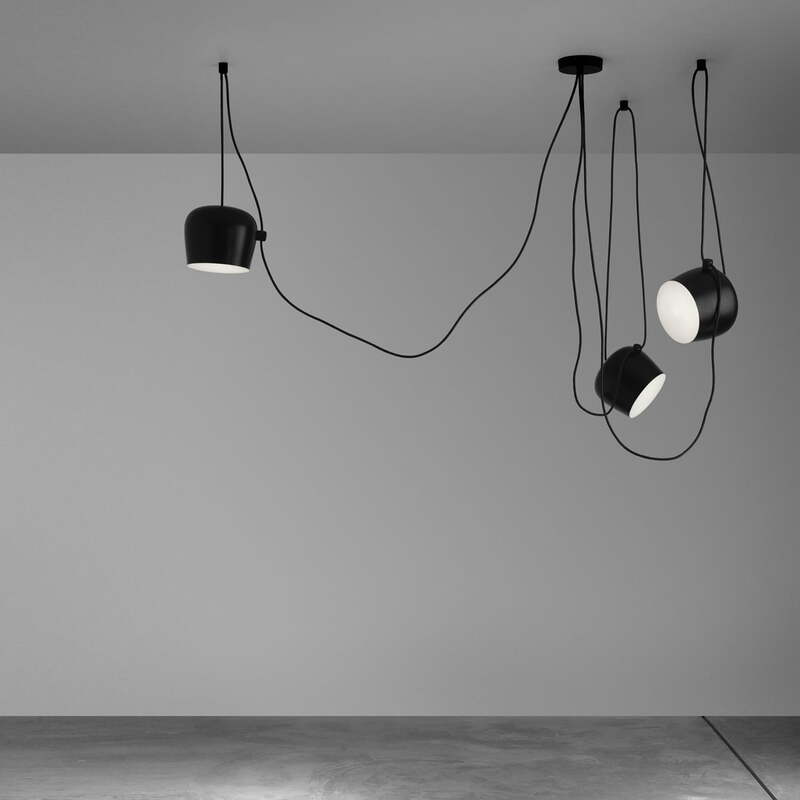 The second principle is the assumption that the cable is only there to be hidden, which is also disregarded by both designers: The AIM by Flos presents a forest of cables with impetuous lines and an aesthetic function. 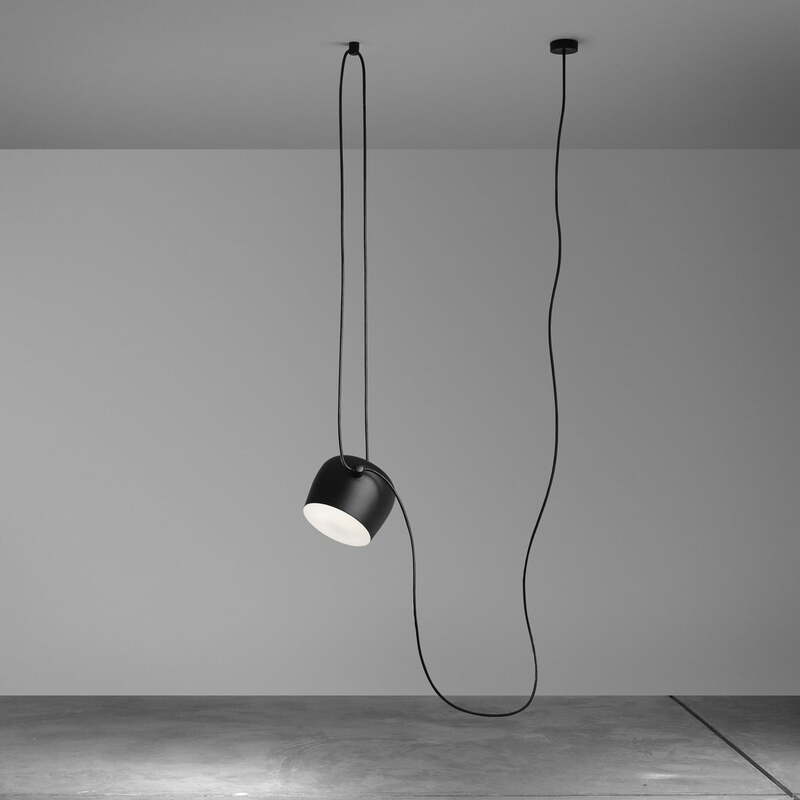 The innovative lamp from Flos is also available with a plug to be used with the nearest socket: AIM LED Cable + Plug – for some more flexible light solutions. Flos produces the AIM out of polished aluminium, ABS and polycarbonate. The AIM pendant lamp is energy efficient and can create different lighting moods thanks to its dimmable LEDs. 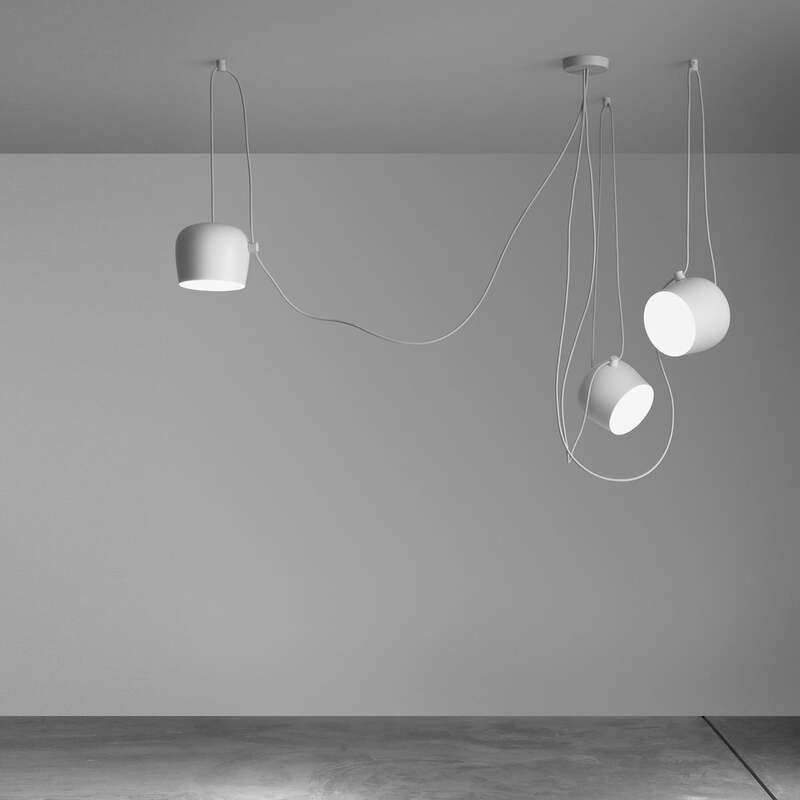 The 9 metres cable allows creativity with the hanging possibilities.